This gorgeous cinnamon roll type beauty is screaming to be served at a Mother's Day brunch. 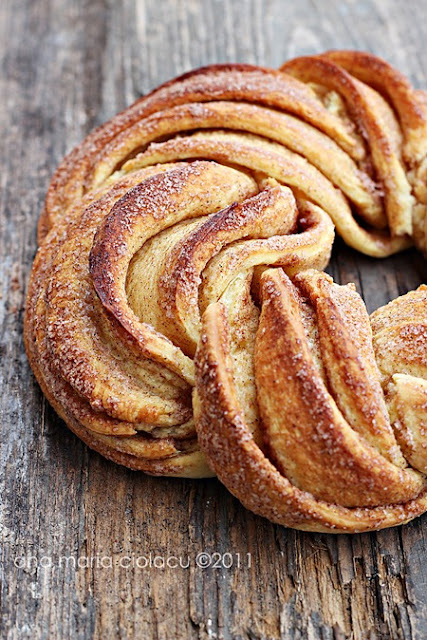 Although it looks elaborate, the recipe from this cinnamon twist, called an Estonian Kringel, isn't intimidating at all. And the step by step tutorial that Ana Maria provides makes it almost impossible for this treat not to come out perfectly. You can get the Estonian Kringel recipe over at Just Loves Cooking. Wonderful picture and this looks so tasty! Anything with bread, sugar and cinnamon and I am in! Have a fantastic weekend! The picture is amazing. I want to make it NOW!